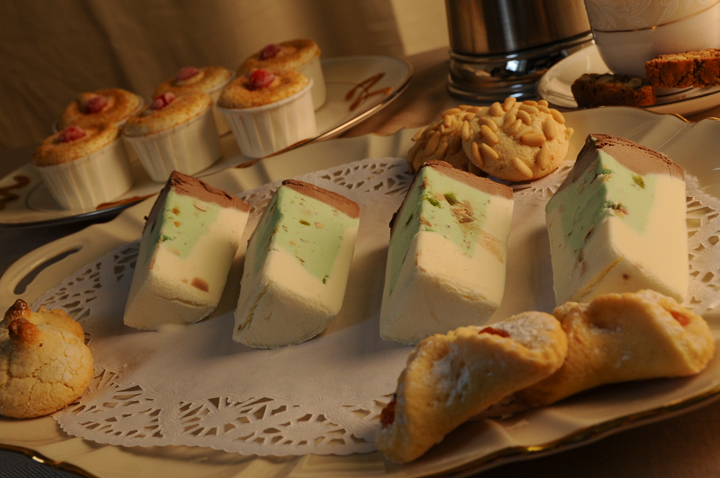 When serving these desserts you will be backed by an unbeatable reputation that we have built and nurtured over the years. Every aspect of our family owned and operated business is personally supervised, therefore insuring nothing less than perfection. Our products are available to you from New Jersey headquarters, or through our many distributors. A chocolate lovers dream. Chocolate sponge cake, raspberry sauce, amaretto ice cream surround a ruby red cherry, rolled in crushed almonds and topped off with a drizzle of dark chocolate and marzipan. 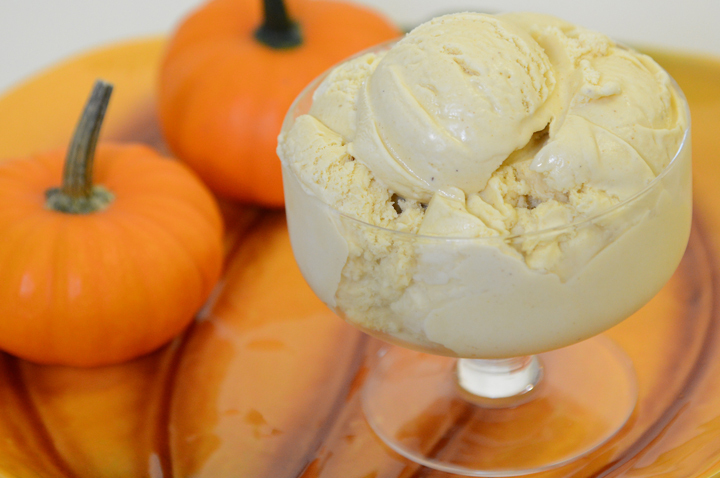 An outer cushion of fresh creamy vanilla ice cream cradles an intoxicating center of rum bisque ice cream, laced with tangy citrus fruit and chopped nuts nestled next to the finest dutch cocoa, chocolate ice cream. 8 wedges are in a box. 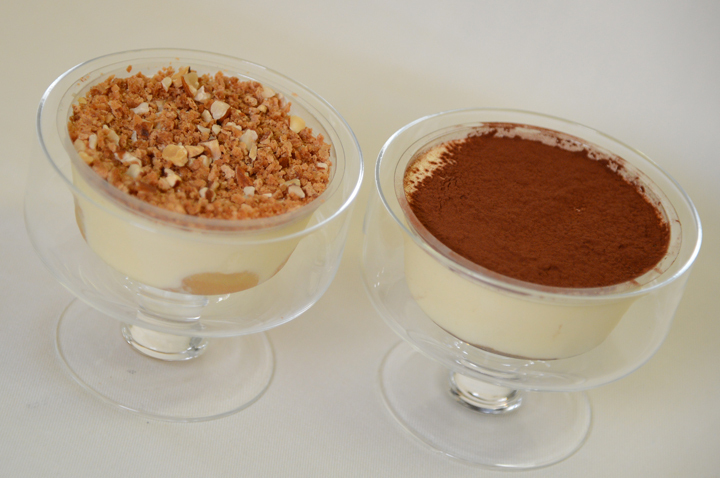 Our original tartufo is a blend of vanilla and chocolate ice cream with sliced almonds and a cherry. Surrounded by a dark bittersweet chocolate coating. Also available in White chocolate, Peanut Butter, Pistachio, Mango/Coconut, and Pumpkin. 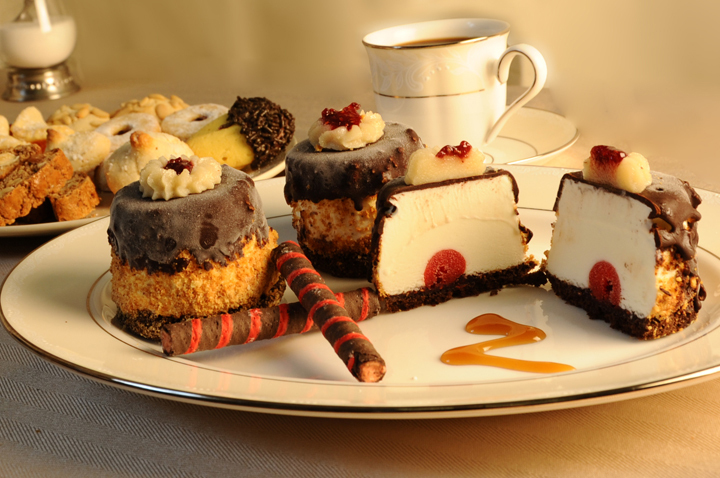 Our special subtle amaretto ice cream blend, is topped off with toasted macaroon crunch and ruby red cherry. 12 cups are in a box. 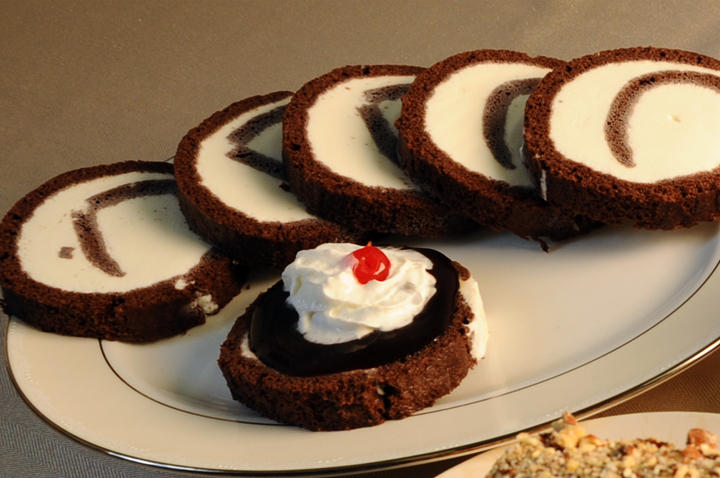 We start with a heavenly moist devils food cake and smother it with our creamy vanilla ice cream. We then roll it into a neat snug roll and offer it to you pre-cut into 28 slices per box, or in 6” logs. During the brisk holiday months of November thru January the Nasto family offers its valued clients a special treat. 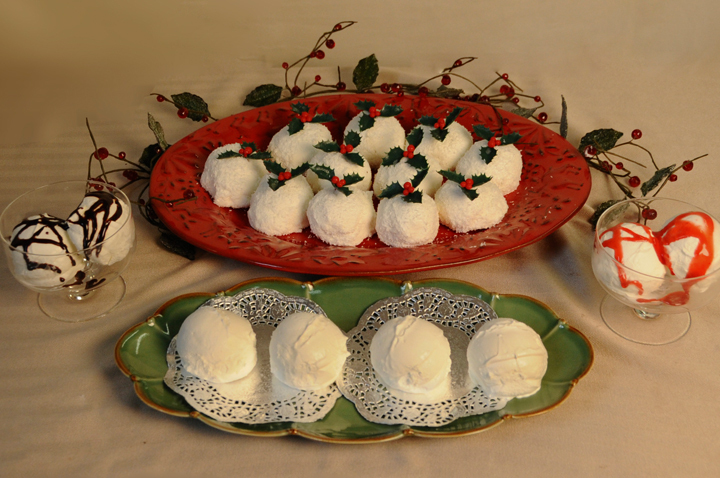 Our pre-portioned vanilla scoops are heavily dusted with a real coconut coating and topped with a festive red and green holly garnish. 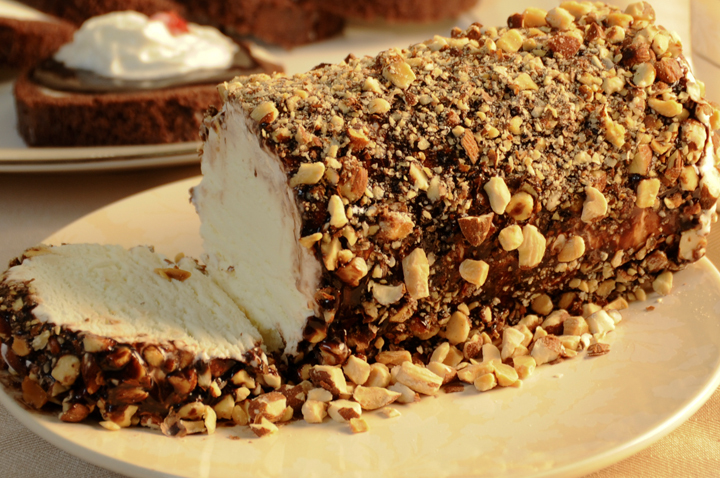 We coat a 6” log of our creamy vanilla ice cream with a delicious layer of chocolate fudge and then roll this delectable treasure in toasted almonds. We supply a hearty 4oz. serving of our creamy smooth vanilla ice cream, pre-portioned for your serving convenience. Serve it solo, with a piece of cake or topping of your choice. The possibilities are endless. 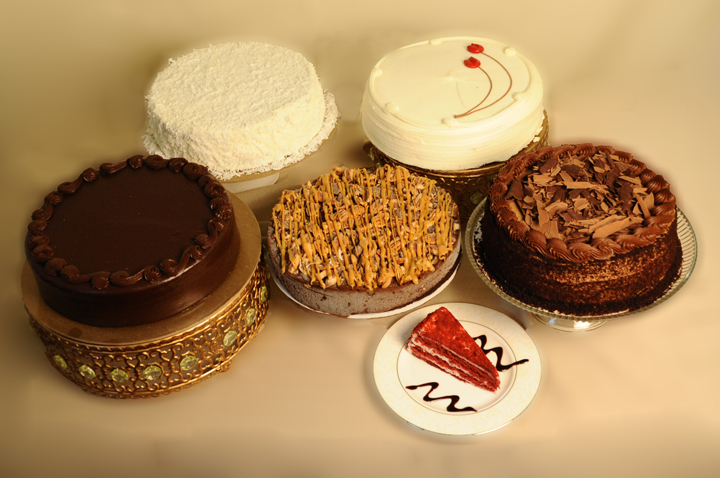 We have many different cakes available to choose from such as a whole line of cheesecakes, our moist Red Velvet Cake, or our to die for Chocolate Fudge Cake. Ask about our cakes today. 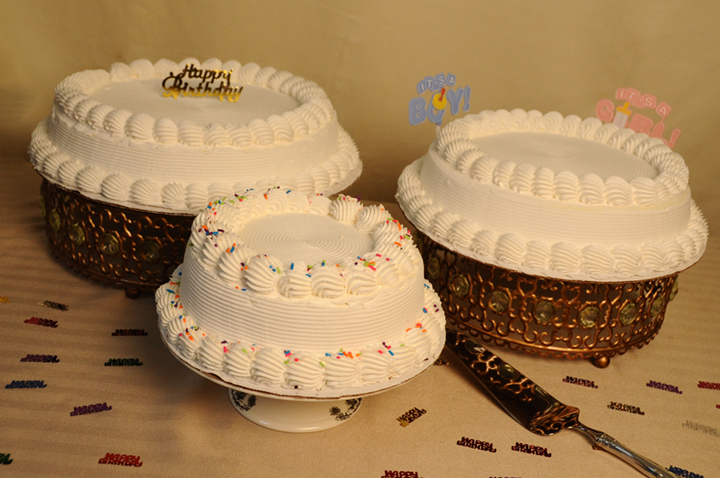 Our fabulous Ice cream cakes are great for any occasion. Our Traditional style ice cream cake consists of Vanilla, Chocolate, and Strawberry ice cream with a layer of toasted almonds and chocolate syrup topped with our own heavenly whipped topping. There are 7 different sizes available for purchase. We also have a nut free ice cream cake available with chocolate crunchies. 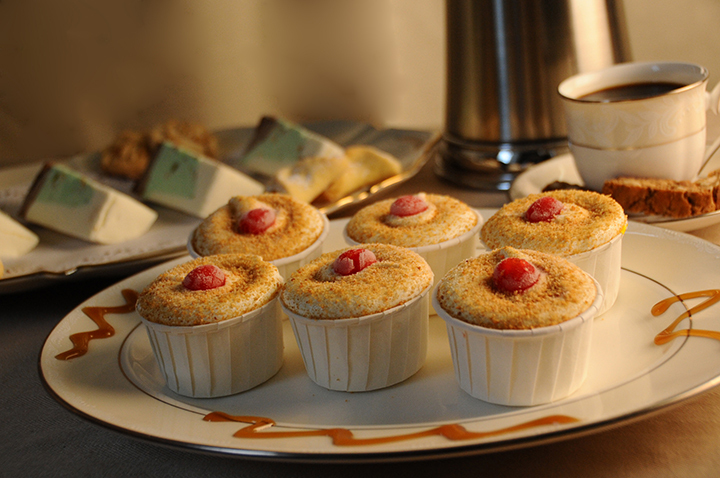 A traditional Italian dessert consisting of alternating layers of imported mascarpone and ladyfingers delicately soaked in espresso with a hint of liqueur is available in a 4lb tray or 6oz cups. 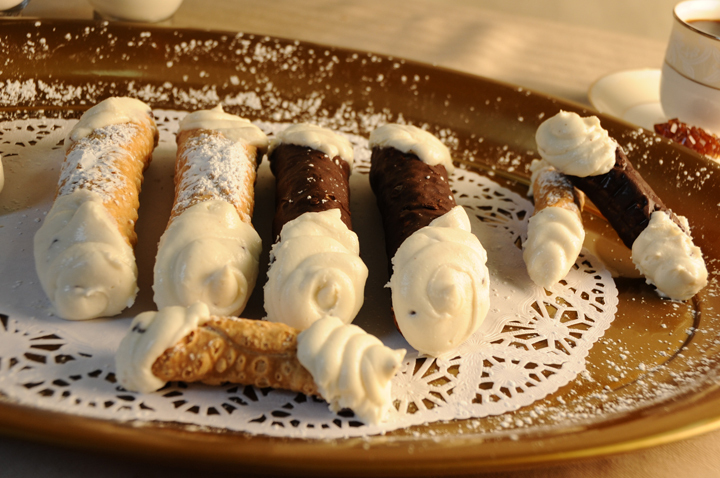 Our baked pastry shell is filled with a delicious blend of ricotta cheese, sugar, and chocolate chips. Available in both large and mini sizes. The same great refreshing taste of fresh fruit sherbet without the cholesterol. Through a very gentle process fresh fruits are hollowed out, making sure none of the natural juices are lost. 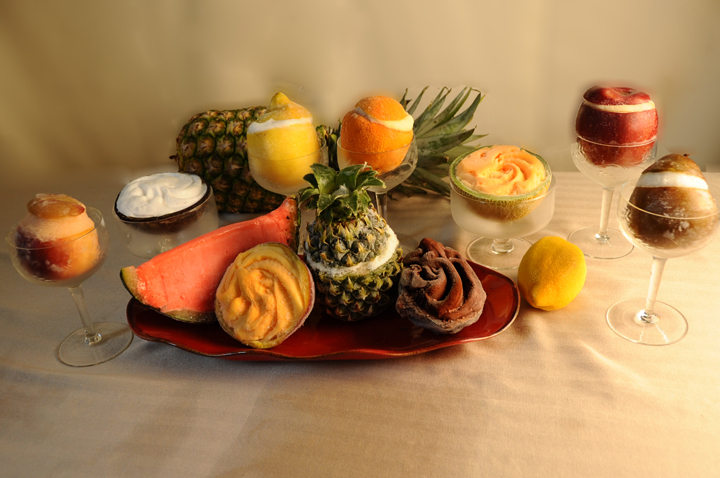 The fruit contents are then carefully blended with other natural ingredients to create a one of a kind phenomenal dessert. 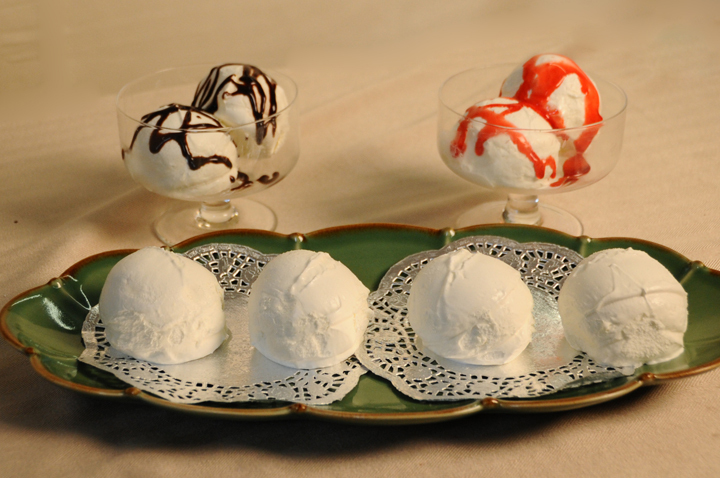 The mouthwatering sorbet is not only unique for its one of a kind taste, but its presentation is exquisite! 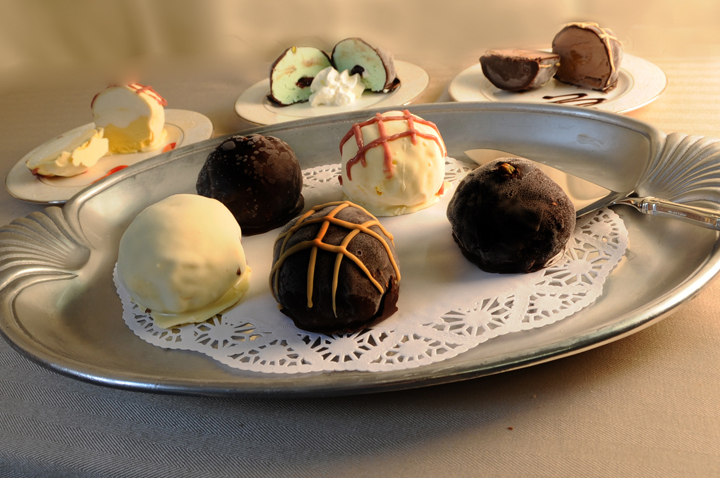 Each flavor is presented in its own original shell. Our signature products are only made with finest ingredients. Starting with fresh milk and cream delivered daily by a local dairy. We use only the best Madagascar Vanilla, cocoa from Belgium, gelato flavor imported from Italy, and fresh fruits and purees. These along with our blending and freezing techniques combine to make Nasto's truly something special.